Delicate jewelry is certainly isn't my forte' but I'm finding myself lately leaning towards softer and more delicate designs. Let me set my chunky statement necklaces aside for a bit and opt for a simpler choice. Anyhow, who would say no to diamonds ? 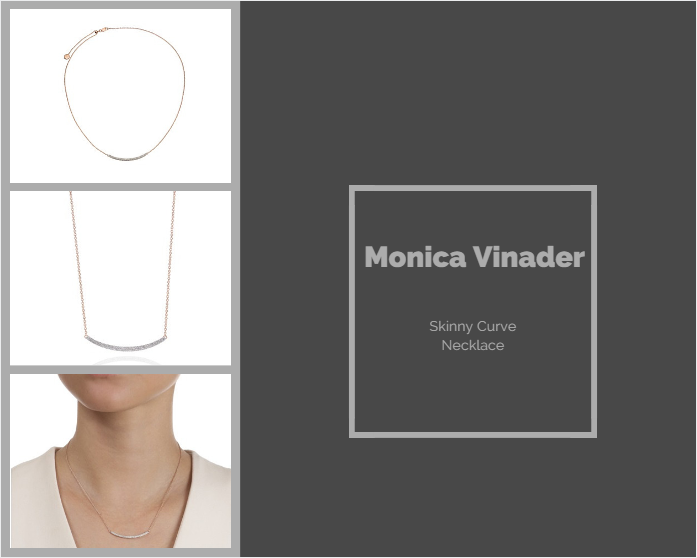 Quite understated and minimal necklace by Monica Vinader, which would look equally gorgeous piled with another set of delicate necklaces . The rose gold version is my favourite. * Moniva Vinader now offers free shipping with duties and taxes paid, free engraving and free gift wrapping.